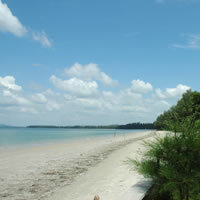 Kaw Kwang Beach, Koh or Ko Lanta island, Krabi. 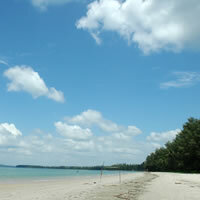 Beach Kaw Kwang - Ko Lanta - Krabi - Thailand. 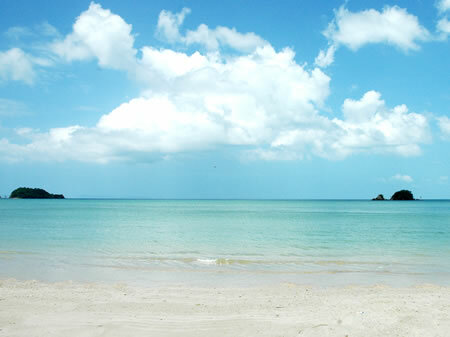 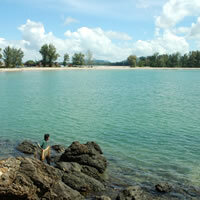 Located in the northern part of Ko Lanta, next to Ban Saladan, Kaw Kwang Beach has its own character. 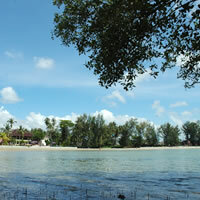 Kaw Kwang, which means “deer neck” in Thai, has an elegantly curved beach line, resembling the sway of a dear’s neck. 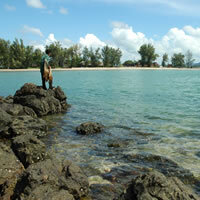 When the tide is low, you can walk to a little island at the end of the cape. 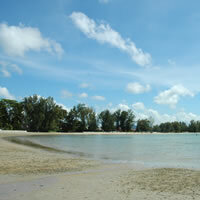 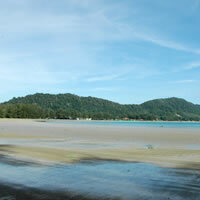 On this beach you will find both the Kaw Kwang and Twin Bay Resorts.